Like traditional elder law firms, the Flammia Elder Law Firm creates estate plans, drafts wills and trusts, develops advance directives and Powers of Attorney, and helps clients qualify for public benefits like Medicaid and VA. But we don’t stop there. Kathleen Flammia, our Florida Bar Board Certified Elder Law Attorney, works in concert with a team of attorneys and elder care professionals to help you meet the legal, financial, and personal needs of loved ones while protecting family assets and making provisions for the smooth transition of family wealth. 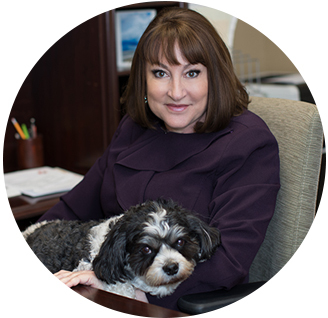 By providing expert counsel and deploying common-sense planning strategies, she helps clients achieve their financial and personal goals. Though the Flammia Elder Law Firm is known as Central Florida’s elder law expert, we offer much more. We connect families with all the services needed to prepare for and navigate the uncharted waters of a loved one’s long-term care journey. This attorney helped my parents with some legal stuff. I shopped around before I decided to choose Mrs. Flammia. She was not the cheapest but that is not what I was looking for. She was by far the most knowledgeable for what I needed for my aging parents. Thank you for your help. When it comes to planning for long-term care, there is no such thing as a “one size fits all” solution. Thanks to the many powerful planning tools and strategies at our disposal, the Flammia Elder Law Firm can develop a customized plan to meet your loved one’s needs while limiting burdens on family members. This personalized approach puts you in the driver’s seat. You’ll avoid costly bad decisions and end up with more money to use to enhance your loved one’s well-being or to leave for the next generation. Support throughout the long-term journey. After developing your customized plan of action, at every decision point during the long-term care journey (and there are usually many), we present your options and help you evaluate those alternatives based upon your values and goals. Working with the Flammia Elder Law Firm gives you a team of skilled and compassionate advisors by your side who will help you evaluate the financial implications of each care option. That means you can relax and enjoy peace of mind today, knowing that you’re ready for whatever the future might bring. Rather than looking at your situation as a series of impersonal legal or financial transactions, we take the time to get to know your family, your needs, and your goals. Our flat fee billing approach for Life Care Planning is a natural reflection of this approach. Think of us as lifelong advisors who help you navigate challenging life transitions with dignity and grace. Expertise delivered with skill and compassion. Our clients tell us that the experience of working with us is different from that of other law firms, even those that specialize in elder law. For us, compassion and law aren’t mutually exclusive. Everyone on our team takes time to listen. We have experience working with families when they’re at their most vulnerable. This welcoming, intimidation-free environment makes it easier to open up about the realities of the long-term care journey. The Flammia Elder Law Firm enjoys relationships with providers in the financial, real estate, home health, insurance, and long-term care community, which makes it easier to respond to the wide range of issues that might crop up along the way. You’ll spend less time researching options because we’ll show you what’s available and where to go. We will also show you how all the services fit together to meet your loved one’s needs. Put the Flammia Elder Law Firm to work for you and experience your future your way. 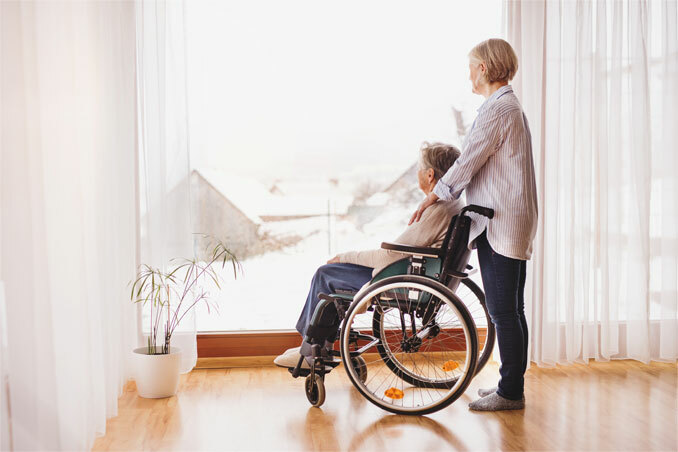 Caring for an elderly parent or other relative can be overwhelming, especially if you are juggling caregiving with work and family responsibilities. If any of the following statements sound familiar, a Life Care Plan may be right for your situation. I know that there are questions I should be asking about my loved one’s well-being, but I have no idea what those questions are. I am so exhausted by the competing demands of work, family, and caregiving that there is no time left to do the research needed to make good decisions about my loved one’s future. If the time comes when I can no longer manage my loved one’s care at home, I have no idea what I will do. I am terrified that if long-term care outside the home is needed, the nursing home will take everything my loved one worked a lifetime to earn. I put off as many decisions as possible, making decisions only when a crisis forces me to. I dread the future because I have no idea what new problem I will have to face on my own. With a Life Care Plan, your loved one gets the care he or she needs. Family assets are protected. You enjoy expert help with important decisions and compassionate support from a team of professionals who care about you and your loved one. Learn more about Life Care Planning. Take control of your loved one’s long-term care journey. The Flammia Elder Law Firm can show you how. When it comes to estate planning, changing life circumstances can render your existing plan obsolete. Many people who take the time to complete an estate plan never bother to update it as their life changes. Put the flammia elder law firm to work for you. experience your future, your way.